Once a root canal has been performed, the tooth tends to become brittle and fragile like glass, which means it is more likely to crack or fracture. A crown placed on top of the tooth will offer protection and make this less likely to happen. A tooth that has been filled and now has more filling material than the tooth itself is no longer viable. There is just not enough tooth left to contain the filling so a crown would be recommended. A tooth that has suffered extreme damage due to decay would need a crown. Crowns are often used to cover discolored teeth as well as to improve aesthetics. If a tooth is chipped or fractured a crown can fix this. A crown may be indicated to strengthen the adjacent teeth supporting a bridge placed to replace a missing tooth or teeth. A crown may also be recommended for supporting the replacement teeth. Crowns are indicated to improve the appearance of malformed teeth caused by genetic disorders such as Dentinogenesis Imperfecta or Amelorenesis Imperfecta. Crowns are indicated when teeth are severely worn down and in cases of extreme sensitivity or abrasion. When teeth are out of place, misaligned, crowded or have large spaces between them crowns can offer a solution. Crowns are used as the super structure on a Dental Implant. A Dental Crown is basically used to strengthen and offer protection to the tooth structure remaining and can certainly improve the function and appearance of teeth. In the recent past several developments have been made regarding the type of ceramics used for creating crowns. 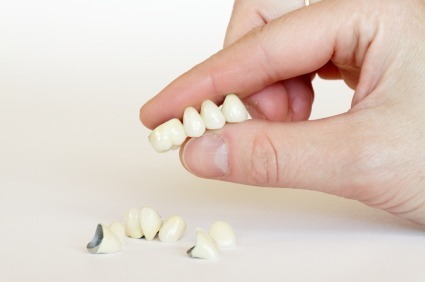 After examining your teeth your dentist will be able to recommend the type of crown that will work best. It will all depend on the aesthetics and the extent to which the tooth needs to be strengthened. You will need to meet with your dentist at least twice in order to properly fit your crown. On the first visit your tooth is readied for the crown, an impression is made of your tooth, and you will receive a temporary crown is fitted over the tooth being repaired. During your next visit your temporary crown will come off and the permanent crown will be adjusted to fit properly and cemented in place. 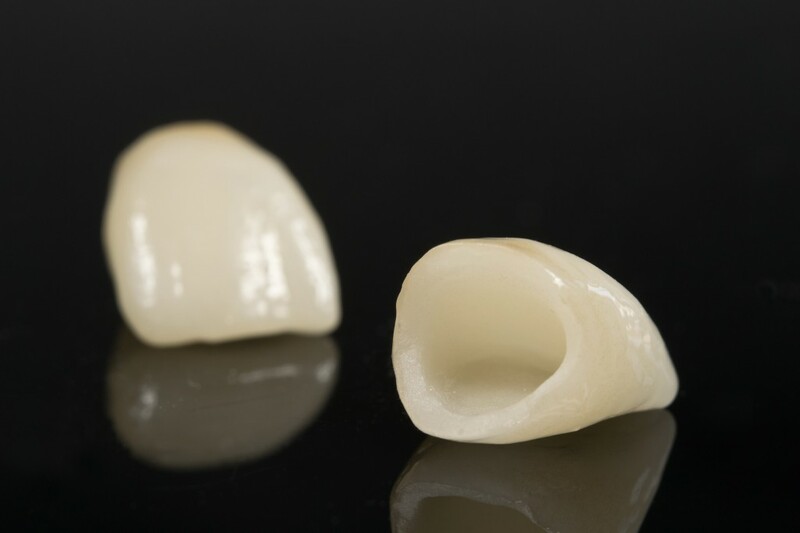 Once your crown has been cemented in place you will be responsible for taking care of your prosthesis. You must follow good oral hygiene and visit your dentist every six months for a check-up. Your dentist will examine your crown around the edges to make sure it’s maintaining its integrity and that the surrounding peridontium is healthy. Your adjacent teeth will also be examined as well as all your other teeth. Patient happy to come back! Returning patient visits dentist in Cancun! How to fix big gaps between your teeth?